The 18th century was a wealth of knowledge, exploration and rapidly growing technology and expanding record-keeping made possible by advances in the printing press. In its determination to preserve the century of revolution, Gale initiated a revolution of its own: digitization of epic proportions to preserve these invaluable works in the largest archive of its kind. Now for the first time these high-quality digital copies of original 18th century manuscripts are available in print, making them highly accessible to libraries, undergraduate students, and independent scholars.Western literary study flows out of eighteenth-century works by Alexander Pope, Daniel Defoe, Henry Fielding, Frances Burney, Denis Diderot, Johann Gottfried Herder, Johann Wolfgang von Goethe, and others. Experience the birth of the modern novel, or compare the development of language using dictionaries and grammar discourses. ++++The below data was compiled from various identification fields in the bibliographic record of this title. 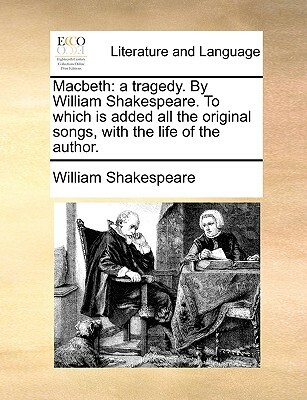 This data is provided as an additional tool in helping to insure edition identification: ++++British LibraryT062205The songs are by Sir William Davenant and the life by Nicholas Rowe. Also issued as part of: 'The theatre: or, select works of the British dramatic poets', vol.1, Edinburgh, 1768.Edinburgh: printed by and for Martin & Wotherspoon, 1768. 3], vi-84p. ; 12.